Are you depressed by the default wallpapers on your iPhone or iPod? You need a radical solution like Wallpaperio iPhone Maker to restore some colour to your mobile device. Completely free, this software is qualified as a photo editor and will allow you to set all your favorite images to make wallpapers. 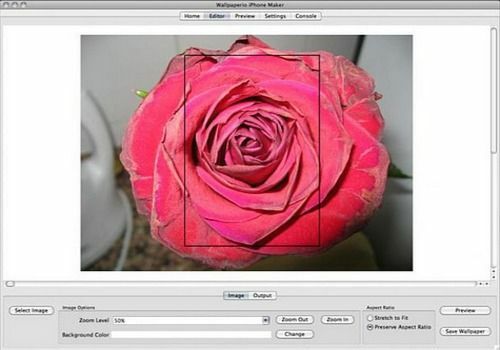 Among other things, you can crop or crop them, zoom in on certain areas, change colors and more. Once you have brought the artist's paw, Wallpaperio iPhone Maker will propose with a simple click the transfer of your photo to your iPhone or iPod. Then simply change the settings and your custom wallpaper will appear.